Primary Rule: If your parent cannot manage and supervise the caregiver, the caregiver is in control of your parent's life and home. Employed by home health provider, hospital, congregate community, insurance company, etc. Objective professional advocate without financial or other obligation to anyone except client. Total lifestyle approach with equal consideration for quality of life and healthcare needs. No variation. Preferred Lifestyle Services Care Managers are experienced geriatric professional nurses who have surpassed the State of Florida's highest requirements for dementia training and education. 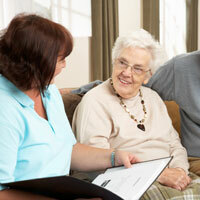 Find out how Preferred Lifestyle Services sets the standard for keeping your parent safe at home. How Well Do You Know Your Parent's Home Care Worker?